Daniel Ricciardo will need to develop a “harder skin” and “more patience” if he wants to triumph in this year’s midfield battle, says Cyril Abiteboul. Having swapped Red Bull for Renault in the off-season, Ricciardo is expecting a season spent battling in the midfield while his new team chases fourth place in the Constructors’ Championship. And that’s exactly what he got at the season-opening Australian Grand Prix. The Aussie qualified P12 for his home race and immediately tried to make up positions at the start. He attempted a pass around the outside of Sergio Perez only to bounce along the grass, hit a gutter, and lose his front wing. His Renault boss Abiteboul feels a less in patience is needed. “It’s not that he underestimated it, but as a midfield team we do not operate in the same way as a top team,” he told France’s Auto Hebdo. “Maybe he will have to get a harder skin and some more patience at the start. 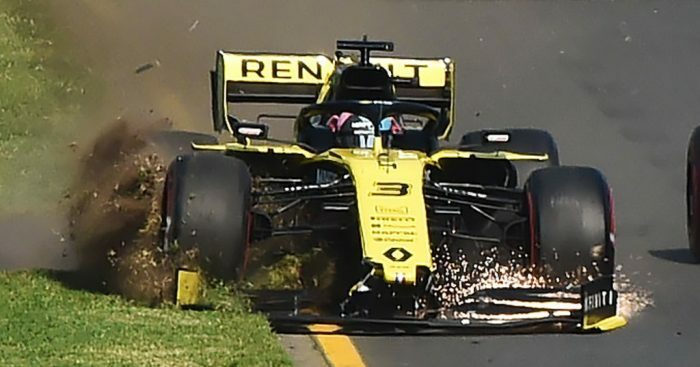 Ricciardo would later retire from the grand prix, parking his RS19 in the Renault garage as a result of the earlier damage.